The Supply Chain Matters blog features Part Two of a series of commentaries that look back and review 2018 Predictions for Industry and Global Supply Chains that were published by our research arm at the beginning of this year. Our research arm, The Ferrari Consulting and Research Group, has published annual predictions since our inception in 2008 and our approach is to view predictions as an important resource for our clients and readers. Thus, we do not view them as a light, one-time exercise. Unlike other industry analyst firms, our predictions for the most part, do not take a perspective of a three to five-year window. Our belief is that industry business and supply chain management process needs are changing rather quickly and that leaders need a more focused view of what needs to be accomplished in a one to two-year timeframe. 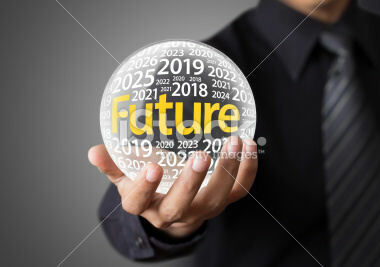 After looking-back at current year predictions, we will transition into the unveiling of our 2019 Predictions beginning in early to mid-December. In our previous Part One commentary, we revisited our first three current year predictions. In this Part Two commentary, we review 2018 Predictions Four thru Six. 2018 Prediction Four- Cyber-risk and Information Security Safeguarding Needs Consume Supply Chain Risk and Advanced Technology Investment Considerations. The basis of this prediction was that cyber-related risk and information security safeguarding would consume business, IT and industry supply chain teams, not so much by choice, but from compelling needs dictated by stockholders, boards and C-Suite executives. Brand and reputational risk have risen to top-of-mind concerns for businesses and mitigation efforts would likely be a priority during 2018, straining budgets and available resources including supply chain management focused teams. Cyber-risk and the threat of additional cyber-attacks indeed escalated during the year. Hackers and state sponsored cyber thieves have moved toward a new fifth generation of attacks that is now surpassing the defensive capabilities of individual businesses. The World Economic Forum recently disclosed results of a survey among over 12,000 executives around the world regarding what they believed were their biggest risks in doing business. Cyber-attacks and data fraud were identified as two of the top five global risks in terms of likelihood. In our attendance at the Oracle OpenWorld customer conference in October, we highlighted one of the most profound and eye-opening panel discussions that this Editor has ever witnessed at a technology focused conference. Four experts in national and global security threat landscapes indicated that the homeland threat of cyber warfare has escalated significantly but the U.S. and other nations are better at connecting the dots and determining likely sources. More profound, the panelists concurred that cyber threat incidents are going to get worse before they get better because the players, either well-funded criminal organizations of state-sponsored players are becoming far more sophisticated. The threat is to individual companies and to nations. Recent data indicates that three in four chief information security officers are of the belief that they are not currently equipped to handle this next generation threat sophistication. The biggest barriers are needs to keep mission critical systems operating around the clock as well as not enough staffing to implement needed safeguards. Thus, our prediction relative to advanced technology prioritization may not have occurred since CIO’s are still dealing with the realities that such technology capabilities are beyond their grasp at this time. In August, a computer virus reportedly impacted the operations of global semiconductor chip manufacturer TSMC. The virus had spread among multiple chip fabrication facilities. In September we highlighted a warning from a major factory and equipment control systems provider warning of potential malware infected USB drives. In July, global automaker trade secrets may have been exposed when sensitive manufacturing process information involving more than 100 companies doing business with a small Canadian robotics company were found unprotected on the open Internet. Our prediction of the increased cyber threat landscape has indeed transpired but industry supply chain teams were still able to garner a share in advanced technology investments. That stated, industry supply chain teams are ever more aware of the implications of such threats and have received management support to shore-up cyber and data protections at perceived vulnerability areas up and down supply and demand networks. We expect such threats to continue to be a priority in 2019. 2018 Prediction Five- A Shifting of Priorities for Supply Chain Digital Transformation, Data Management and Advanced Technology Enhanced Business Relationships. We predicted that in 2018, digital timetables would accelerate because of more compelling business forces accelerating such changes. One related to the current speed and scope of multi-industry disruption. The second related to comprehensive corporate tax reform measures that occurred in the United States that could either accelerate or re-focus process or technology areas of supply chain transformation. Digital transformation indeed took on two dimensions this year, one being supply network facing and the other being multi-channel customer demand fulfillment facing. We anticipate that these perspectives will continue into 2019 while leading edge enterprises will be initiating efforts to bring both of these orientations together in information harvesting and broader collaboration. There was also movement in the formation of industry clouds. One example has been in the consumer goods sector where contract manufacturers and co-packaging supplier have been increasingly linked together in overall supply, demand and customer fulfillment decision-making. There have been other efforts expanded in industries such as automotive, commercial aerospace, high-tech and consumer electronics as well as others. We will feature added research profiles in this area in 2019 along with efforts to leverage existing EDI and electronic messaging networks into broader capabilities in harvesting insights and more-informed decision-making. Another more quickly evolving area are signs of industry Clouds focused on operational systems, actual customer machines and equipment operating in respective industry environments generating rather useful data related to use, conditions and purpose. We predicted that 2018 will likely feature additional M&A activities among large enterprise, industry-specific and specialty best-of-breed Cloud technology providers. The strategy among such technology providers would be about building scale and market influence. Thus far, one on the largest acquisitions in enterprise technology involving IBM and RedHat, and an acquisition involving SAP and Qualtrics International have each been announced. Other ERP and enterprise technology providers continued with tuck-in acquisitions to augment specific business process support, advanced analytics or decision-making capabilities. We predicted one or two high-profile Cloud technology providers to stumble in 2018 because of a flawed business model or market missteps. Our feeling was that customers have become far more savvy as to being locked into proprietary or overly expensive platforms. Looking back, there were rather minor stumbles. After some brief momentum, IBM lost momentum in its Cloud segment, leading to the acquisition of RedHat. We predicted that 2018 would provide a renewed emphasis on protections and safeguarding of customer data, and indeed, that is occurring in multiple dimensions. The obvious catalyst was the disclosure user data involving upwards of 87 million Facebook users may have been improperly exploited by a politically focused data analytics firm, along with the implementation of the European Union’s General Data Protection Regulation (GDPR) in May of this year. The continuing fallout as government and business interests gain more understanding of the growing scope of threats, has added to the increased emphasis of having a defined and effective data protection plan for any major business. Data protections invariably lead to the supply and customer focused networks, and thus our prediction that supply chain management teams would be caught in the middle of such forces has occurred. One specific area to share with our blog readers are the shifting priorities related to pilot or proof-of-concept implementations of either Internet of Things and Blockchain technologies. We predicted a pause in IoT efforts because of the increased emphasis on data security or data vulnerabilities. Our check-ins with systems integrators and tech providers have reinforced that for many new pilots, data security concerns and remedies have indeed been expressed by customers. We predicted that Blockchain pilots would gain added momentum or interest levels in 2018, and indeed, business and industry media is flooded with blockchain related news. However, noted concerns related to the speed and scalability of blockchain systems, and the lack of generally accepted global standards related to distributed ledgers, challenges related to underlying technical components remain. Long-term cost deployment is another factor with some specific enterprise level technology vendors attempting to cash-in with locking-up key industry influencers. As with many advanced technologies, the ultimate determinant is solving a specific business problem. Thus far, blockchain pilot efforts underway are indeed attempting to address challenges related to item level food safety and visibility, ocean container shipments of hazardous materials, added integrity to global trade and finance as well as other specific use cases. We remain of the belief that wider-scale blockchain operational deployments remain in the 3-4-year timeframe. This year turned out to be the renewed discovery of artificial intelligence and machine learning applied to various needs in supporting manufacturing, supply chain planning, customer fulfillment and other applications. Technology providers rightfully toned-down their overall hype and instead messaged on how such technologies can address needs for added worker productivity, providing added quality or safety assurances or removing drudgery in day-to-day processes. Prediction Six: Make America Great and Changing Global Trade Policies Will Provide a Challenging Tactical and Strategic Landscape for U.S. manufacturers. If your reading has progressed thus far in our look back of predictions, you are more than aware that this prediction, of nearly all of our 2018 predictions, has indeed occupied the management and resource attention of multiple manufacturers. During the year, this blog reverted to weekly and bi-weekly recurring updates relative to global trade and tariff developments. The Trump Administration’s aggressive agenda indeed provided a challenging tactical and strategic landscape, and as we approach year-end, we believe that structural shifts in industry supply networks are already in various stages of movement. Our concern at the beginning of the year was that heads-down complacency to just go with the flow of a robust business cycle, with hopes that tariff actions will eventually subside to more rational and practical industry approaches may be very disappointed come year-end. At this point, signs of a Trump Administration easing of an aggressive tariff-based strategy vacillate back and forth, but the current impact on U.S. and now global manufacturers, retailers and individual businesses is far more palpable. We observed at the beginning of the year that experienced trade negotiators and political observers often point out that multi-lateral trade deals are more about achieving painful compromises while attempting to protect domestic industry interests. Yet for the most part, the Trump Administration’s chief trade negotiators assumed a stance of a zero-sum, win-lose stance in NAFTA focused negotiations. All of the parties must now traverse through individual legislative approval processes accompanied by added specifics of the trade deal’s impacts on industries and products. At the same time, supply chain teams must now move to the next analysis stages of assessing actual impacts related to costs and transportation movements. In some cases, difficult product decisions will need to be made and senior management will need to have relevant and contextual information relative to supply network and product value-chain flows. With the results of the U.S. midterm elections becoming clearer, and the power base of the U.S. House of Representatives now in Democratic Party control, U.S. ratification is not a slam dunk without additional debate and iterations. Specific automotive, industry and other political interests want an additional voice in the final trade agreement, and that will likely continue business uncertainty into the first-half of 2019. As predicted, there was a marked escalation in trade conflicts involving China and the United States. That has led to the U.S. imposing three rounds of meaningful tariffs affecting upwards of $250 billion in goods. China retaliated with corresponding counter import tariffs that targeted import U.S. exports in agricultural, automotive, aviation, medical and high-tech products. China was further quite savvy in its targeting on goods in political districts that were important to the U.S. Mid-Term elections. The number and the effects of this trade war could rise significantly higher given the current level of trade tensions among these two nations. Retailers and manufacturers dodged the total impact of tariffs by procuring inventory and goods earlier than planned to avoid the imposition dates. Next year will provide an entirely different set of challenges having to deal with and manage. A subsequent round of tariffs would have far more far-reaching impacts for consumer and industrial end products, and on associated supply networks involving both countries. That would include consumer electronics products manufactured from the likes of Apple and others. Global financial firm J.P Morgan is currently forecasting added trade conflicts involving these two nations spilling over into 2019, which again, has far reaching impacts. The Economist Intelligence Unit is now forecasting likely structural industry shifts in Asia-based sourcing with other countries being the beneficiaries. Conflicts are already emerging among suppliers and manufacturers as to which party should bear the cost burden of added tariffs with contractual agreements being strained in the process. In automotive supply networks, another complicating factor is the multi-tier overlap of China and North American sourced supply network flows that will now have to be reanalyzed or reassessed in supplier and customer relationships. As the March 2019 deadline for Britain’s exit from the European Union loomed, skepticism relative to whether a new trade pact could be negotiated, outlined, and ratified by all EU nations by the early 2019 deadline languished for most of this year with little meaningful progress. Discord within political factions in London, Northern Ireland, and the rest of the U.K. as to what these negotiations ultimately lead to in trade practices, regulations and customs practices also festered for most of 2019 with little progress. Meanwhile, major EU and UK based businesses increasingly faced deadlines as to making strategic and tactical decisions relative to insuring timely supply network flows or factoring any implications of added tariff, labor or currency implications in landed costs. Some have already acted either in boosting safety stocks or initiating alternative sourcing. This concludes Part Two of our look-back self-evaluation of our series of 2018 Predictions for Industry and Global Supply Chains. In our next posting in this revisit series, we will revisit 2018 Predictions Seven thru Nine. Please note that we are also actively in the process of researching and completing the formulation of our 2019 predictions while will be initially unveiled during the month of December with detailed deep-dives scheduled into January 2019.